How are smiles by America's leaders reconciled with news of US targeted infiltration & spying on the German Chancellor, the French President, and many other national leaders? America must be treated as a poisonous lizard. Now stating "We do not and will not spy on you" is beyond belief. Two months later, or three years from now, when policies diverge, the bugs & dirty tricks are again activated. This spying is corrosive, foolhardy, and not in America's best interest. Defense and high-tech security firms benefit; the rest of us flounder in distrust and cynicism. 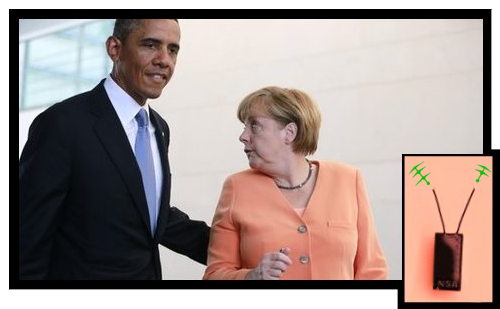 Obama encourages key ally Merkel. Unknown others snooped on her phones.